Everton complete Idrissa Gueye, Manchester City sign Leroy Sane. 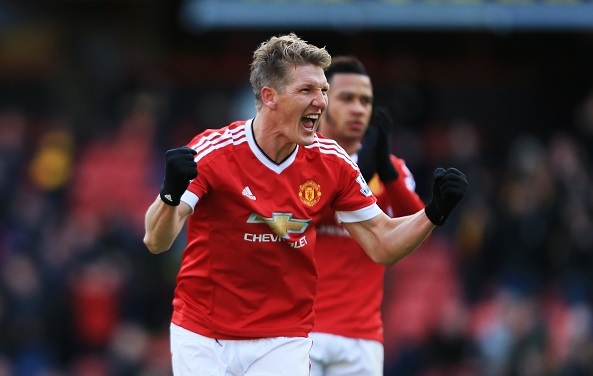 Bastian Schweinsteiger set for Bayern Munich return, Gylfi Sigurdsson seal new Swans deal. Everton complete Idrissa Gueye, Manchester City sign Leroy Sane. Bastian Schweinsteiger set for Bayern Munich return, Gylfi Sigurdsson seal new Swans deal and much more. SkySports have confirmed that Everton have signed midfielder Idrissa Gueye from Aston Villa for a fee around £7million. Manchester City have officially announced the signing of Leroy Sane from Schalke for £37million. The German attacker has penned a five year deal at the Manchester club. Bastian Schweinsteiger could be leaving Manchester United this summer as the reports claim that he has been linked with a surprise return to Bayern Munich. The German midfielder who arrived at the Old Trafford last summer has been told to look for a club. Iceland star Gylfi Sigurdsson has signed a new long term contract at Swansea City, as per latest reports. The former Tottenham midfielder is happy to sign a new four year deal. Aston Villa have joined the race to sign Fulham forward Ross McCormack, according to SkySports. Boss Roberto Di Matteo has reportedly made a £12million offer for the Scottish man.